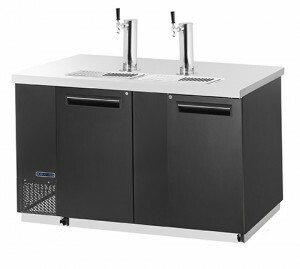 Maxx Cold Bar Back Coolers MCBD60-2B | M. J. Mac Inc.
Maxx Cold’s back bar coolers with stainless steel top are designed to keep cold beverages at the optimum temperature for serving customers. The entire cabinet is foamed in place with low ODP polyurethane insulation. The galvanized steel interior with stainless steel floors and a wall thickness of 1.5” guarantees years of cold refrigeration. The self-contained, slide out unit uses R-134A refrigerant and comes equipped with coated evaporator coils and a condensate evaporator. Temperature ranges from 32°F to 40°F (0°C to 4°C).